Travel is sometimes a reflection of one’s attitude towards life. Taiwan is a place that offers visitors an endless number of ways to enjoy a LOHAS (Lifestyles of Health and Sustainability) vacation, a trend that is quickly gaining popularity around the world. 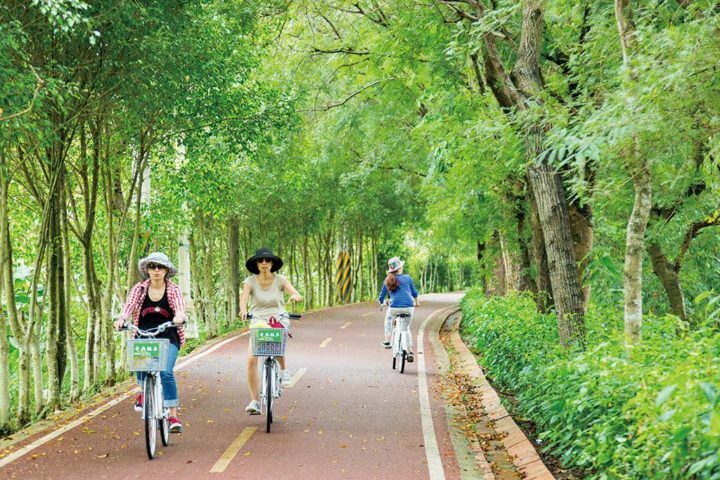 Riding a bike along one of the island’s scenic coastal highways, for example, whether at a challenging speed or at a leisurely pace, is just one of the many ways to experience the LOHAS spirit in Taiw an. With an oriental flair and unique character, Taiwan provides an exceptional cultural and environmental experience. There are throughout the islands a wide variety of scrumptious cuisines, sports and leisure activities. Get close to nature through cycling and give your taste buds a treat with healthy organic cuisine, or achieve physical and mental balance the oriental way with yoga Zen meditation, martial arts or Tai Chi. If relaxation is what you’re after, then a visit to one of Taiwan’s popular spas, hot springs or foot massage parlours might be just what you need to let your mind and body unwind. Or if you just want to enjoy some of life’s simpler pleasures, try looking for a comfortable hot spring. 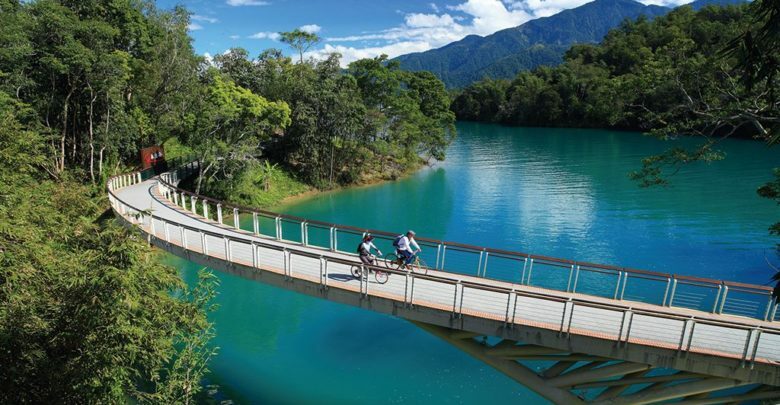 Cycling has become a popular trend in Taiwan in recent years’ with many scenic, eco-friendly and fun cycling tracks appearing all over the island within a very short period of time. Some lighter tracks are suitable for the whole family while others contain mountain paths that can pose a challenge even for professional riders. An island network of cycling paths 5,000 kilometres long that links the whole country together is still under development. 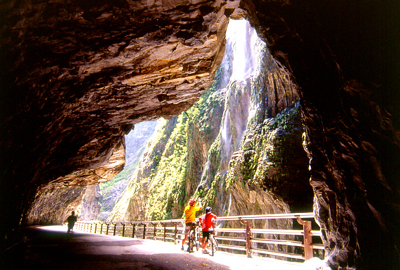 Apart from leisure cycling paths, Taiwan also offers bicycle hire stations at many locations across the country, including hotels and bed & breakfasts. Taipei City has a public bicycle hiring network called YouBike, which allows locals and tourists alike to rent bikes with a simples wipe of their Easycard. A similar public service is available in southern Kaohsiung City, where riders can use their credit cards or l-Pass card. Given the popularity of leisure cycling in Taiwan, bicycle repair stations are also extremely common. Even some police stations have a specials service station offering water, air pumps and navigational service to cyclists. Cycling paths in every Taiwanese city and county have their own unique characteristics and flavour. 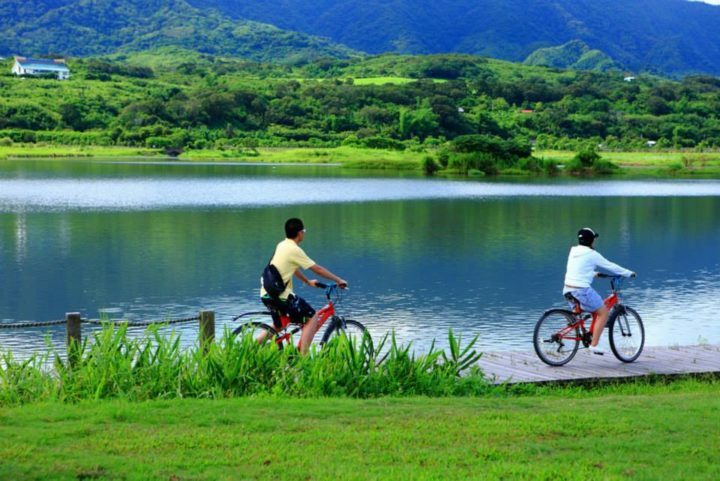 The cycling paths in the greater Taipei region, for example, take advantage of the area’s many rivers to offer a waterfront riding experience..